Where Snugtop excels in any manner! 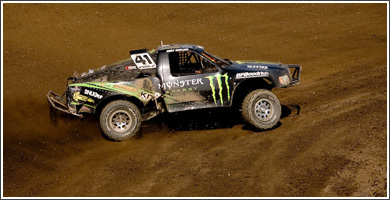 In 1996 noted off-road racer Todd Clement, a past winner of the famed Baja 1000 event, had a vision to create a means by which average folks could enjoy a hands-on driving experience in Baja California. He named his venture Wide Open Baja, and now it’s going stronger than ever - having recently expanded with an operation in Cabo San Lucas and plans for tours into mainland Mexico in 2007. The heart and soul of Wide Open Baja are specially constructed 2-seater dune buggies that feature fiberglass bodies built by SNUGTOP. These powerful and agile vehicles let drivers feel what it’s like to literally fly over the dunes in Baja. And to put any fears to rest, the vehicles are equipped with a full compliment of safety equipment that provides excellent protection. Clement and his staff offer three basic packages to the general public. They include a 4-day adventure centered around Ensenada, another 4-day package for Cabo, and a week-long trek down the Baja peninsula. But don’t get the idea that participants will always be roughing it, as the trips include first-rate lodging and meals. A new E-ticket Ride has been recently added in the form of a three hour long closed-course session on a 1,500 acre ranch near Cabo San Lucas. It gives participants a thorough introduction to off-roading, and includes everything from professional instruction to on-the-gas adventures. 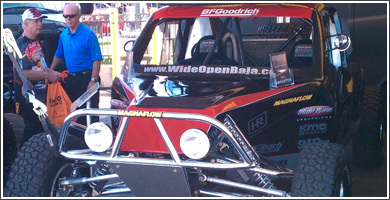 GO RACING with BAJA 1000! Drive yourself through Baja with Baja 1000 winner Todd Clement as your guide! 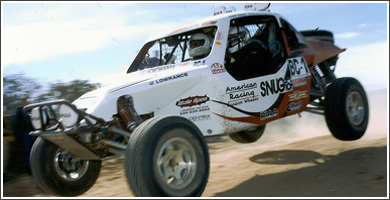 See http://www.wideopenbaja.com/for details on your adventure of a lifetime.